Spring is in the air on Salt Spring Island - stop by this April and enjoy the emergence of the island's superb arts scene at events and festivals across the island! 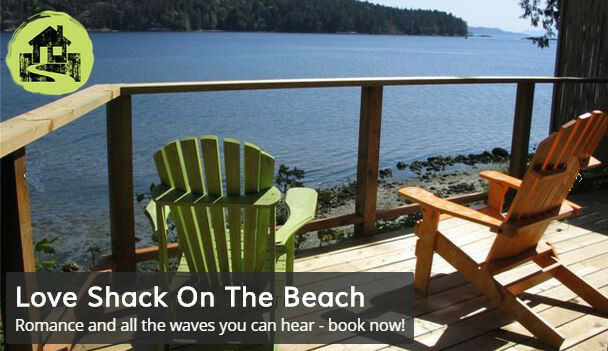 Now the perfect time to experience Salt Spring Island before the summer season! Hang out under the blossoms at the Tree House Cafe; head to the Saturday Market to peruse new wares by your favourite artisans; check out great shows, music & seminars; and celebrate Earth Day! April 2019 Events on Salt Spring Island! 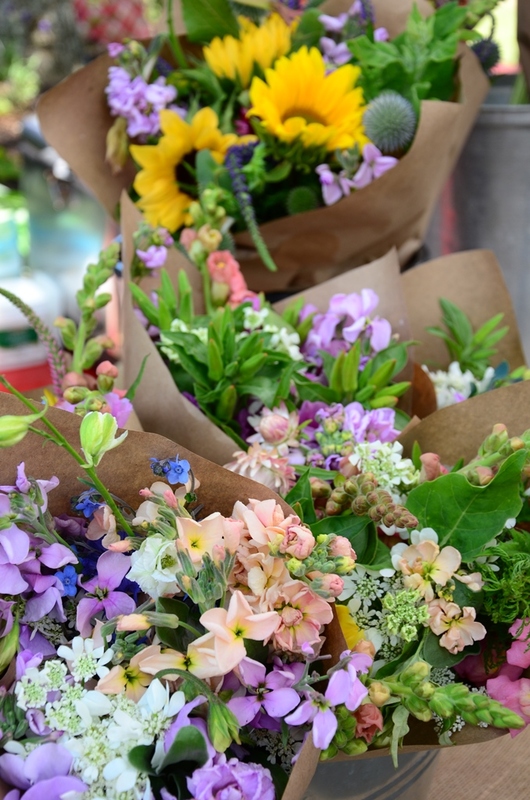 Salt Spring Saturday Market | Saturdays | 9:00am to 4:00pm | Bask in the ultimate sign of Spring as Salt Spring Island's famous Saturday market returns! Leisurely stroll through the stalls to see what wonderful new creations local artisans have handcrafted over the winter months! ArtSpring Presents: New Orford String Quartet | Wednesday 3rd | 7:30pm | Artspring: 100 Jackson Avenue | $5-$30 | Juno winning New Orford String Quartet is at the forefront of chamber music. Four musicians with equally stellar pedigrees with the goal of developing a new model for a touring string quartet. Spot leaping lambs! You'll swoon when you see the adorable lambs frolicking in fields across the island! Hear the frogs! Starting mid-March and at peaking in April and May, if you're anywhere near a freshwater pond or lake, listen out for the nightly frog chorus of the Pacific Chorus Tree Frog. This little critter - their bodies measuring approximately an inch long - makes a surprisingly loud croak and when they get together it sounds like you're in a tropical destination! Where Have All the Insects Gone? [When Will We Ever Learn…] | Thursday 11th | 7:00pm to 8:30pm | Meaden Hall: 120 Blain Road | By Donation | Global insect populations have crashed over the last couple of decades. This has consequences for our food supply, for a healthy environment and the future of wildlife. Find out what factors may be causing the widespread declines and what gardeners and growers can do to help reduce the harm from some of these factors. Join Linda Gilkeson for a riveting presentation on the loss of insects and why it matters! ArtSpring Presents: Ô-Celli | Thursday 11th | 7:30pm | Artspring: 100 Jackson Avenue | $5-$30 | A cosmopolitan ensemble of eight cellists with superb musicianship share their passion for the extraordinary richness of their instrument. Since its creation in 2010, through the initiative of Sébastien Walnier and Alexandre Beauvoir, these celebrated chamber musicians have performed for numerous European festivals and are members of prominent European orchestras. CANCELLED: Herbal First Aid Weekend Presentation & Workshop | Friday 12th to Sunday 14th | 12th (Artspring): 6:00pm to 8:00pm; 13th & 14th (Mount Tuam): 9:00am to 6:00pm | $400 | Have you ever wanted to use herbs in a first aid situation, but weren’t quite sure how to do it? Attend an evening presentation and then an intensive weekend workshop Led by Garliq who has employed these skills in his 10+ years on the island. GISPA: One by One: A Crucible Story | Wednesday 17th to 19th | 7:30pm to 9:00pm | Artspring: 100 Jackson Avenue | $15 | The Gulf Islands School of Performing Arts (GISPA) proudly presents One by One: A Crucible Story. A resetting of Arthur Miller’s The Crucible in the modern day, One by One makes an eerie but apt comparison between the Puritan Salem Witch Trials of 1692, and today’s high school gossip and back-stabbing in the age of social media and reality TV. Showers bring flowers! Head to the aptly named Daffodil Point in Burgoyne Bay Provincial Park and enjoy beautiful flowers from Daffodils to Camas to Fawn Lilies and many more! Check out the Salt Spring Conservancy's Wildflowers of Salt Spring to identify the fabulous flowers across the Island! Explore the 13th Annual Easter Art Show "Homage" from April 19th to 28th - a 10-day exhibition of fine arts by Southern Gulf Island artists working in painting, sculpture and photography. The Show also includes a variety of public events, performances, art talks, demonstrations and more (Mahon Hall: 114 Rainbow Road). ArtSpring’s Celebrate the Arts! | Saturday 20th | 10:00am to 6:00pm | Artspring: 100 Jackson Avenue | Free | More than 50 artists, performers, artisans, craftspeople, community members, and ArtSpring volunteers and staff come together to showcase art on Salt Spring in all its many fantastic forms. Easter Egg Hunt | April 21st | 10:00am to 2:00pm | Salt Spring Cheese: 285 Reynolds Road | Fabulous for adults and children alike. While you're there, taste over a dozen soft and hard cheeses (and buy some for the road! ), take the outdoor tour of the operations with informative sign boards, hunt for eggs, see the sheep, goats, chickens and meet the Easter Bunny! The Salty Flea | Sunday 21st | 10:00am to 4:00pm | Fulford Hall: 2591 Fulford Ganges Road | Free-$2 | An artist and flea market for all things vintage, preloved, and handmade on Salt Spring Island, BC & its surrounding areas. Earth Day Celebrations in Centennial Park | Monday 22nd | 11:00am to 5:00pm | Centennial Park: Fulford-Ganges Road at Lower Ganges Road | Mark your calendars for some eco-friendly fun at the Earth Day Celebrations on Salt Spring Island! Enjoy with live bands, information booths, yoga and activities for kids including crafts, fort building and face painting! Celebrate planet earth in style and visit sea, land and air! Head to Price Road Beach to dip a toe into the Pacific Ocean and look for sand dollars and shells. Explore the beauty of the land in the fertile Burgoyne Valley and see what the earth provides from farm stands along the roadside. Then, ascend to top of the island, Mount Maxwell and enjoy the experience of being on the edge of a sheer cliff just like the birds! Salt Spring Folk Club presents: Gumboot Gala | Monday 22nd | 7:00pm | Fulford Hall: 2591 Fulford-Ganges Road | $25 | Get your gumboots moving at the famous Gumboot Gala featuring Valdy and more! StageCoach Theatre School’s: Eldritch Manor | Friday 26th to Sunday 28th | 26th & 27th: 7:00pm; 28th: 2:00pm | $10-$15 | 12-year-old Willa Fuller is convinced that the old folks in the shabby boarding house down the street are prisoners of their sinister landlord Trang. Only when Willa is hired on as housekeeper does she discover the truth, which is far more fascinating: Eldritch Manor is a retirement home for ancient creatures of myth and legend, and all have stories to tell. With Joy! Concert | Saturday 27th & 28th | 27th: 7:30pm to 9:30pm & 28th: 2:00pm to 4:00pm | Fulford Hall: 2591 Fulford Ganges Road | $5-$20 | Salt Spring’s “Viva Chorale!” choir, directed by Caroni Young, and Vancouver’s internationally acclaimed “Jubilate Vocal Ensemble”, directed by Eldon McBride, invite you to their joint concert “With Joy!” Each choir will perform a set of music, followed by the 90-voice combined choir singing 3 pieces together. Be sure to spend some time browsing our eclectic blend of Salt Spring Island Shops and Stores for that perfect gift (even if its well deserved gift to yourself!) - check out some of our favourites including Twang & Pearl, Old Salty, Saltspring Soapworks, SALT shop, and many more!